Petrarch went to great lengths to polish his rhymes and edit them into a coherent collection, known today as the Canzoniere, and he also took care to restrict his readership to those few who would best comprehend and appreciate his poetry. He did not foresee, nor most likely would he have condoned the fate of the third sonnet of his collection in the hands of Giovanni Tolosini. 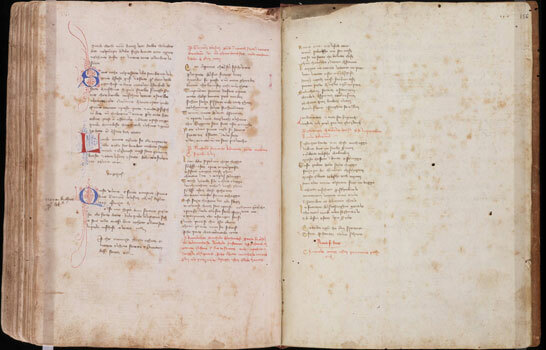 After transcribing Giovanni di Bonsignori’s Allegorie ed esposizioni delle Metamorphosi, Tolosini noticed that he had some extra blank space. What to do? Fill the void by adding a few sonnets. The first of those sonnets is Petrarch’s no. 3. The sonnet, which originally commemorated Petrarch’s falling in love with Laura, is adapted to serve as consoling verses for the lovelorn Tolosini himself. In the same way that he manipulated Petrarch’s sonnet, Tolosini took three other sonnets and transported them into a new context, changing the authors’ original intention into expressions of happiness or sadness for new and different people and times.